The gist: Quickly learn how to implement these 4 key principles to giving good advice that people will actually follow. Do you get frustrated when someone asks you for advice but doesn’t follow it? How do you actually give good advice in a way that gets people to listen and take action? One of my friends recently launched a website. He was working tirelessly to build an audience but wasn’t getting much traction. You need to promote your site to other audiences. There’s no way to share the content on your site on social media. Fix that. You should be building an email list. Fix your home page so the benefit to a new visitor is more obvious. Start writing compelling blog posts to speed up growth. It’s a been a while since that conversation. I checked his site yesterday. It was exactly the same. I was annoyed at first. “Why didn’t he listen? These things work!” Then, I shamefully remembered I’m no different. I’m surrounded by friends who are experts in fitness and nutrition. I often ask for tips to improve my workouts or my diet. Over the years, I’ve implemented about two of the 100+ pieces of advice I’ve received. Why do we ignore advice? More importantly, why do we ignore good advice? Probably because it’s easy to. If change is hard, then staying the same, inversely, is easy. We’re all busy and overwhelmed. Who has time to actually follow through on something new? And what we enjoy even more than asking for advice is disagreeing with it! Sometimes, though, advice does get followed. Your friend finally tries that restaurant you knew he’d like. Your kid actually does his homework before it’s due. Your boss tweaks the big project based on your recommendations. Advice does get followed, just not often. That is, unless you work in one, specific field. If you work in this field, you enjoy knowing most the people you advise actually take action. Who is this lucky bunch that walk around like gods of knowledge sharing? And we have a lot to learn from them if we want to get better at getting the people we care about to do the things we know will help them. After all, the best advice is the advice that gets followed, right? When you think of jobs where commanding influence is critical, you might not immediately think of doctors. A more common answer might be politicians, pundits, or salespeople. These are the folks trying to command our attention every day. But doctors spend all day every day consulting privately with their patients. And the stakes are as high as they could be. If your doctor doesn’t convince you take her advice, your life will suffer as a result. Because of this, the medical industry has become obsessed with training their frontline—doctors, nurses, and other practitioners—to become expert advice givers. Decades of research and studies have been performed now to uncover the ways doctors can get better at delivering life-saving advice. They’re trained from the beginning to command compliance from their patients because, if they fail, lives can end. They aren’t perfect—some 20 – 30% of prescriptions are estimated to go unfilled each year 1, but their success rate is off the charts compared to others. Can you say 80% of the advice you give every year actually gets used? Here’s the results of one study that stood out when I dove into the research of doctor effectiveness. The lessons are surprisingly applicable to everyday people like you and me who want to do a better job serving our friends, partners, and colleagues with the best advice that they’ll act on. 50 years ago, two game-changing programs were created in America that flipped the way we provided healthcare on its head: Medicare and Medicaid. Almost overnight, more than 35% of the country gained access to healthcare who didn’t have it before. Since the government was now paying for it, extra scrutiny over what did and didn’t work was needed. To save money and improve care, it became more important than ever to make sure the doctors doling out advice every day were doing it in a way that would get results. 1. Avoid tension and (carefully) build rapport. The most critical thing Davis found in improving compliance was that tension between the doctor and patient had to be avoided at all costs or the patient was highly unlikely to follow the doctor’s orders. Effective communication is impeded when doctors and patients evidence tension in their relationship. Unless this tension is released, noncompliance may result, regardless of the doctor’s efforts to achieve solidarity. This underscores the importance of starting on the right foot. If you upset the person you’re trying to help, they’ll wall themselves off. Even if you work like crazy to bring them back, it might not work. At this point, you’re screwed. The results suggests[sic] that as decisions become perceived as high in emotional difficulty, consumers assign greater weight to the goal of minimizing negative decision-related emotions than on decision accuracy, which results in greater reliance on characteristics of providers that are more aligned with the former than the latter decision goal. Basically, the more emotionally charged someone is over a decision, the more important it is for you to be empathetic. Without empathy, it won’t matter if you’re the world’s leading expert on the subject. As the relationship between the doctor and patient becomes friendly, strains are created which interfere with their role functions. It may be easier then for a patient to ignore the advice of a friendly physician than one who is formal and authoritative. If the friendly doctor’s authority is undermined, the patient may be as likely to accept the advice of a friend as that of the doctor. It’s a delicate tightrope you have to walk but, hey, I never said giving great advice is easy. If there’s one thing I know about myself, it’s that I like my own ideas better than others’. Admittedly, that’s a huge fault of mine because I have a lot to learn from other people with better ideas than me. The researchers found that people are about twice as likely to select information that supports their own point of view (67 percent) as to consider an opposing idea (33 percent). Certain individuals, those with close-minded personalities, are even more reluctant to expose themselves to differing perspectives… They will opt for the information that corresponds to their views nearly 75 percent of the time. So how do you get someone to consider your advice if it doesn’t match up with their own? You have to make it seem like it’s their idea. To get someone to act on your advice, it’s going to mean giving up at least some of the credit for it. When the person receiving your advice feels like they had a hand in creating it—with guidance from you, the expert, of course—they’re far more likely to act on it. These data suggest that compliance is a function of a delicate balance of direction and evaluation presented in a manner which is acceptable to the patient. Compliance is also a function of reciprocal interaction. Several times in Davis’ study, he refers to the importance of not just prescribing a treatment to someone, but explaining why he’s prescribing it and how he came to that prescription. When a doctor confines his activity to analysis of the situation and the expression of his opinions, he is likely to promote noncompliance. Noncompliance was significantly associated with… nonreciprocal-informativeness. Apparently it makes little difference how much information the patient requests, but when the doctor takes time to collect information without giving any feedback, the patient will probably react in a reciprocal deviant or noncompliant way. When doctors seek information from patients without giving them any feedback, the patient is unlikely to follow the doctor’s orders once they are formulated. This point feels similar to the last one—collaboration—but there’s an important distinction that makes it worth dedicating more attention to: to be a trusted advisor who gets results, you have to lead people to the answer you want them to come to. Think of it like doing your high school math homework. It wasn’t good enough to just come up with an answer. You had to show how you got to that answer. Why? Because it proved you actually understood the concepts. In this case, you’re showing your work because it instills trust, and trust is critical for acceptance. When you show you work, The person you’re advising doesn’t have to take your recommendations on blind faith. They can see exactly how you got to your advice and buy into it along the way. 4. Get their friends on your side. My wife works for a business that helps doctors improve their practices. I’ve had the unique opportunity to see some of the strategies they use to help make their members more successful and get patients to buy into their health plan and follow through on it. My wife’s specialty is working with audiologists who diagnose hearing loss and prescribe hearing aids. It’s incredibly easy to get patients to recognize their hearing isn’t as good as it used to be. You give them a test and show them results. It’s black and white. But where they struggle is getting patients to do something about it—namely, wear some hearing aids. They don’t always see the point in improving or don’t want the perceived stigma of wearing a device—even if it’s a tiny one no one will notice. But there’s one powerful strategy audiologists can use to nearly guarantee the patient will take their advice: they get a family member to come to the appointment. With a family member sitting in and helping answer the doctor’s questions (“Actually, your hearing loss is severe and it’s affecting our relationship…”) the audiologist has an advocate who not only helps reinforce her medical plan but goes home with the patient and makes sure the plan gets followed! It is possible that influence from family members, friends, and associates may conflict with the medical advice and counteract the doctor’s potential authority. But there is also the possibility that these extra-medical influences will reinforce the doctor’s recommendations. Such positive reinforcement is particularly functional when one considers that the patient is not able to relate to his doctor with the same frequency and intensity as he does with family, friends, and co-workers. If you have important advice to offer, it’s going to take more than you—and more than the person you’re giving it to—to actually make it work. The more you can involve the entire social circle, the better the odds they’ll actually follow through. You can spend 10 minutes giving someone life-changing advice, but 10 minutes is a tiny fraction of their day. No wonder good advice goes ignored. How much more effective would your advice be if you knew a friend, a family member, and a co-worker were giving them the same feedback all day long. In my exhaustive search for the secrets to “finally getting my friends to listen to me for once,” I came across a few other pieces of sage… advice… for giving advice. Don’t advise until you’ve been invited to. This is the #1 rule in the world of advising. No one is going to listen to you until they’re ready to. Don’t waste your time giving unsolicited advice. You’ll know they’re ready when they tell you they are. Until then, just offer support. Offer long-term support. It’s hard to implement big changes in your life, especially if you’re doing it alone. One of the greatest things you can offer someone you’re trying to help is the reassurance you’ll be there for the long-haul. Express confidence in their judgment. This ties in with the concept of collaboration. Work to make your advice their idea by asking lots of questions to lead them to the answer and let them know you’re truly confident in their decision. Sprinkle some of these tips in with the four pillars above and you’ll find your results even more effective. 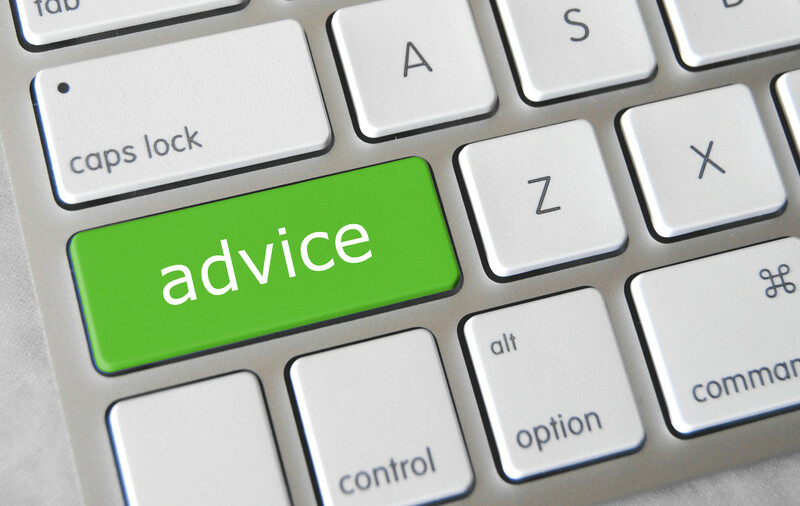 Giving great advice that actually gets followed requires you to go beyond just your expertise. You have to have a deep understanding and attention to the psychological and social factors that affect success. Avoid tension and (carefully) build rapport. Get their friends on your side. Now, think of the last time you had to give some important advice. Ask yourself: “How could I have used these pillars to make sure my effort wasn’t wasted? Be specific. What did you leave out? And how could you have approached differently for better acceptance? Want to make sure you put this article to good use? Share it with a friend, a family member, and a co-worker who’ll help hold you accountable. Gaps in doctor-patient communication: Patients’ response to medical advice.